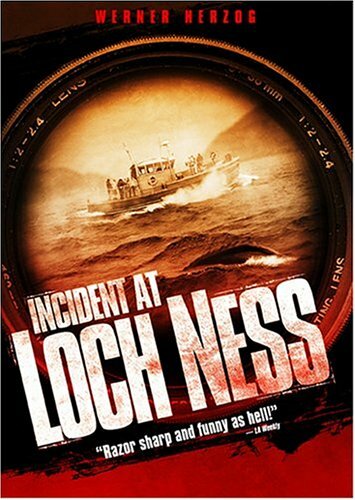 Nothing is quite as it seems in Incident at Loch Ness, an entertaining pseudo-documentary comment on cinematic fakery. Conceived and directed by Hollywood screenwriter Zak Penn, this half-clever ruse begins with a master-stroke by casting German director Werner Herzog as himself, preparing to film a documentary about Scotland's mysterious Loch Ness monster. As this film-within-a-film is chronicled by a documentary crew led by renowned cinematographer John Bailey, "producer" Penn rises to apparently impossible heights of ineptitude, until it becomes obvious (indeed, it's the film's near-fatal flaw) that there is no "reality" here at all--just a very amusing pile-up of falsehoods. Penn's onto something good here, and Herzog is by far the film's greatest asset, maintaining a credible commitment to the ruse with a hilarious and fiercely believable performance. Still, the ideas at play are better than Penn's execution of them, so you'll have to play along, in Blair Witch fashion, even after the film's ploy becomes clear. Penn and Herzog provide a worthwhile commentary track, adding another layer of observation to Penn's multilayered con game.